This is our 2012 Arctic Fox 25P by Northwood Mfg. This is an exceptional example of one of the best built coaches available. One of the most sought after used units on the road. We purchased this model because we did not want the new end cap that was developed for this unit. Glad we did as the end cap they used starting in 2013 has had color issues etc. We have modified the coach by making it boondock friendly adding solar power in a very real way. Electrical: we have 500 watts of panels on the top of the unit that are regulated by a Morning Star 45 controller. 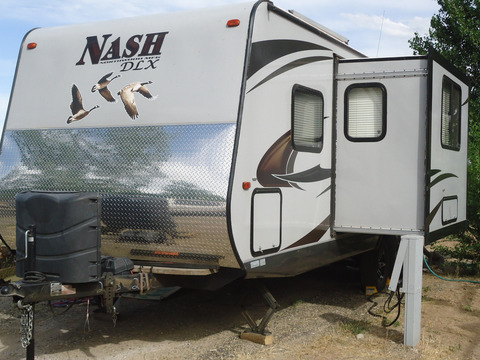 We have added a battery box across the front of the unit that holds four 6volt batteries and has an anti-theft bar. We monitor charging through the Trimetric monitor on the inside of the coach. In addition, there are four twelve volt receptacles which have been added. The unit has a 1500 watt inverter. Storage: we added a 20 inch rear storage rack that runs the width of the unit. Inside there is an additional pantry as well. 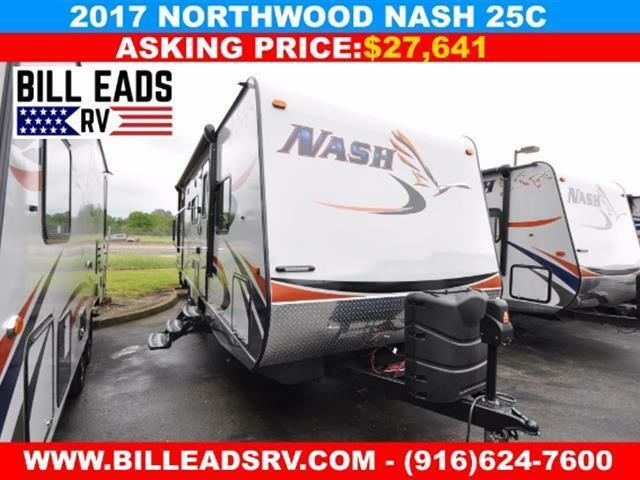 Livability: Northwood Manufacturing prides itself on the true four season ability of their coach. We have added an additional fantastic fan in the kitchen area as well as a new ventilating fan in the bathroom. We have also installed a replacement big screen that uses a LED 45 watt power drain instead of the common LCD 150 watt. The coach has dual pane windows. Gray tankage of 75 gallons, black of 35 gallons and 57 gallons of water. Towability: you MUST use a vehicle that is rated at three quarter tons or greater to tow this unit. GVWR is 10,000 lbs. The frame is built by Northwood and I encourage you to visit their site to view the layup schedule and other features such as a marine ply floor, three quarter inch plywood roof, etc.etc. Tires were replaced with H rated Maxxis and wheel bearings have been redone every year. This unit is in very good condition, clean and everything is operating at peak efficiency per the seller. 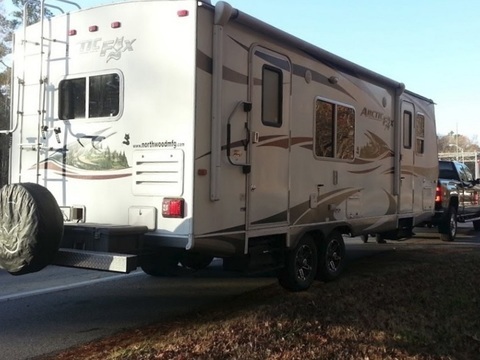 Everything is working order what impressed me the most is how clean she is and how comfortable it was just relaxing and sitting in the RV, very bright and airy!!! 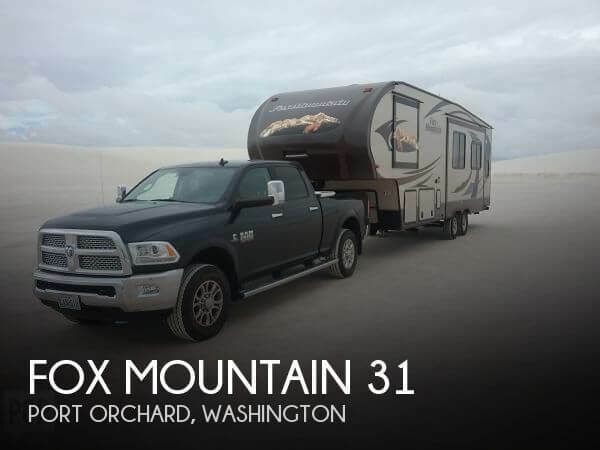 Stock #171303 Known for being durable & reliable this well cared for Fox Mountain 285RLS Has everything you need for short & long trips plus plenty of extras!!! 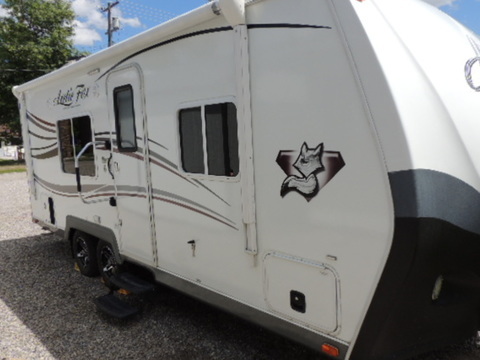 If you are in the market for a fifth wheel, look no further than this 2014 Fox Mountain 31, just reduced to $32,650. 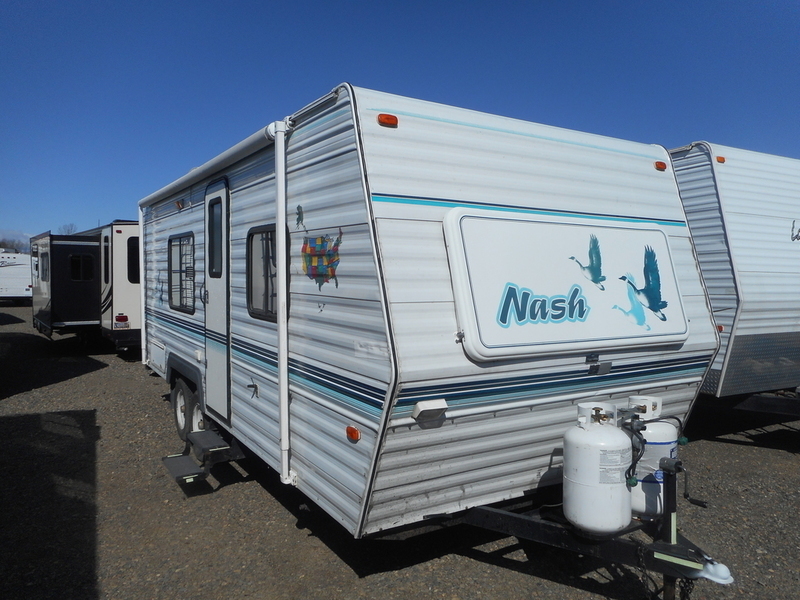 This Fifth Wheel is located in Port Orchard, Washington and is in great condition. Reason for selling is health reasons require sale. 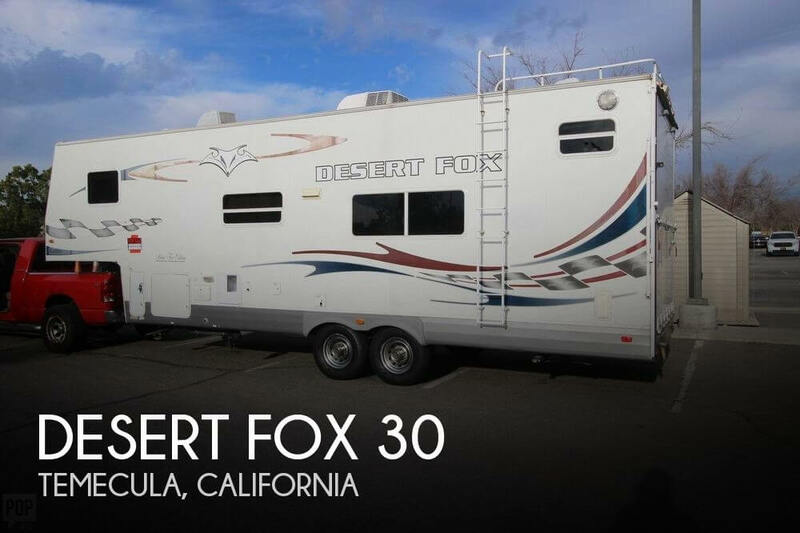 2008 Desert Fox Toy Hauler is the coveted 30-5J Silver Fox Edition and seller reports all systems are in great working order. Possible delivery for reasonable price and expenses for out of state buyer. 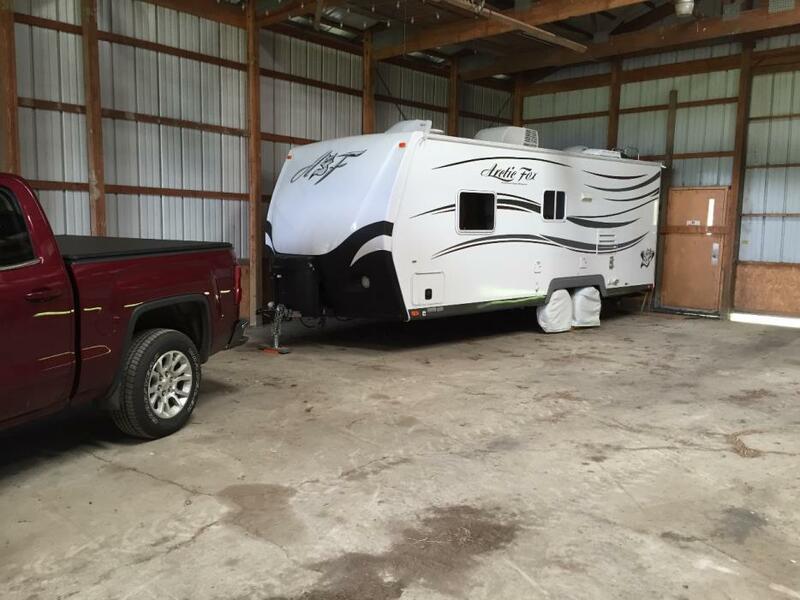 Stock #170268 One owner, four season quality ready to go Toy Hauler! Low miles on this 5th wheeler! 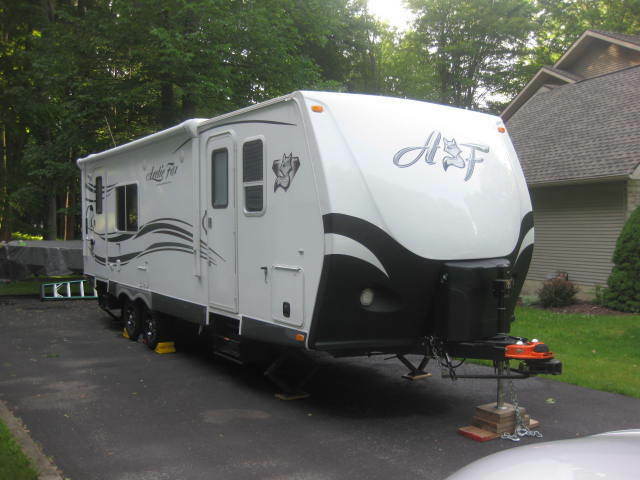 If you are in the market for a toy hauler, look no further than this 2008 Desert Fox 30 5J, just reduced to $21,000. 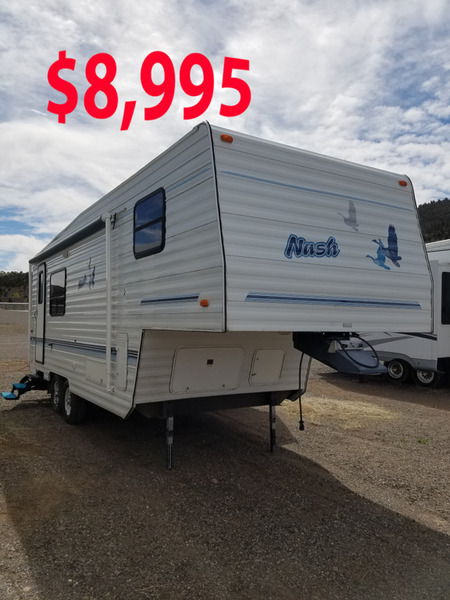 This Toy Hauler is located in Temecula, California and is in good condition. Onan Generator, Rear Hitch, After Market Pillowtop Mattress, Full storage Cover, True 4 season with enclosed heated tanks, 2 vent covers, Aluminum super structure, under 4678 lbs dry wt. 550 lbs hitch wt. Zero miles on 4 brand new tires. one had a pulled belt so I replaced all 4. wheel bearing greased and brakes checked. It is ready to roll. 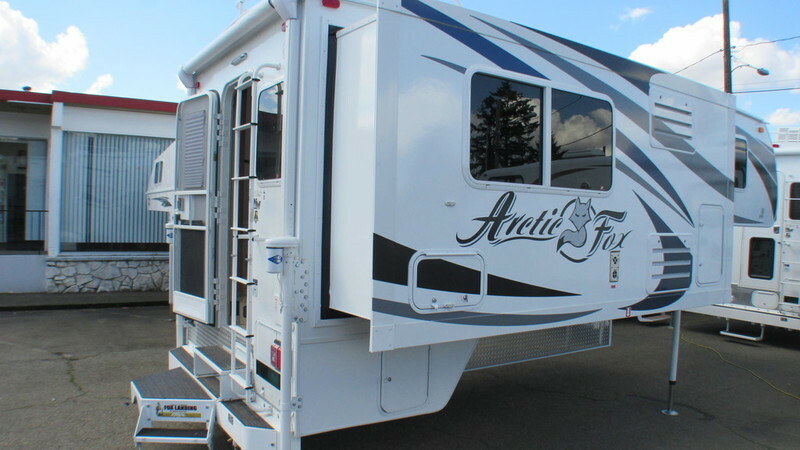 We are selling our 2014 Arctic Fox 25W that we purchased new in October of 2013. This is a well maintained, non smoker, four season unit with the following features.Rear Kitchen w/ 8 Cu Ft. refrigerator3 burner gas range & ovenMicrowave w/hood ventDouble kitchen sink10 Gal gas/electric water heater2 Fantastic Fans ( kitchen & bedroom)13.5K btu Ducted Air Conditioning30K btu FurnaceHeated holding tanks100 Amp solar panel/ charging systemThermal pane windowsElectric awning with adjustable pitchPower tongue jackSlide Out w/awning topperQueen size (60" x 80") BedLCD TV & DVD/CD AM/FM playerAll LED lightingLPG quick connectRoof rack & ladderSpare Tire & mountLoads of storageNote: Our Hensley Arrow hitch is also available seperately.We love the Arctic Fox product and our only reason for selling is to move to a larger unit. We have a new Arctic Fox 5th wheel on order. The unit is in very good condition and has only been lightly used. No smoking, no pets and no kids. 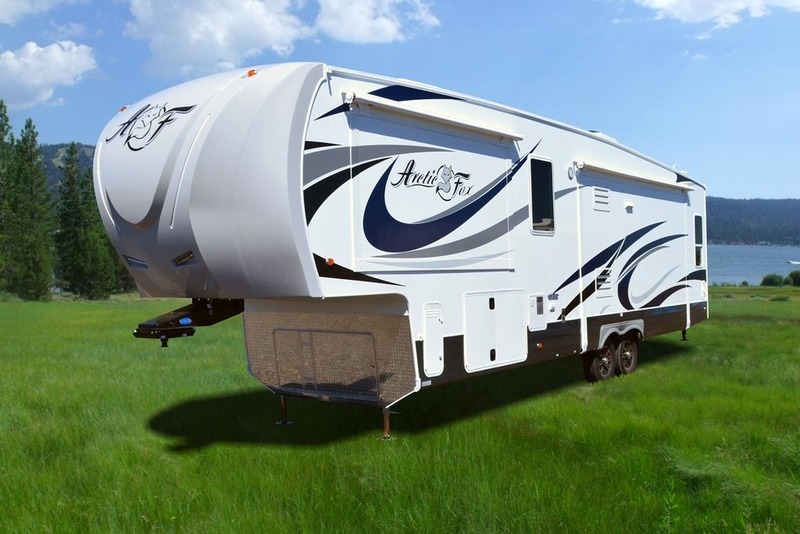 In addition to the standard specs, the Factory options are 12V Power jack, thermal pane windosws, adjustable pitch for Power Awning, and ladder. We will also include an Equalizer Hitch. The interior is Shimmering Sands. We are located in Galway, NY. Asking $19,400. Email is coreyeidens@yahoo.com.